Personnel moves continued en masse last week, which only looks to rise given the recent shakeup in the financial space. 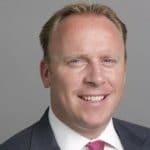 Last week, Colin Digby launched a new venture, RISN Partners, a London-based advisory group, serving as its co-founder and partner. Mr. Digby is no stranger to the FX industry, having worked at a number of leading firms since 1997. Over the past 19 years, he has worked at several lenders, though recently spent his time in the consultancy space. Along with Mr. Digby, RISN Partners was co-founded by Pedro Fernandes. Back on Monday, Barclays announced the new face of its European Bond Syndicate, promoting longtime executive Marco Baldini as its newest head, part of an ongoing shuffle of the lender’s fixed income unit. Mr. Baldini returned to Barclays six years ago, having since worked at its European debt syndicate desk. In his new role as the head of the unit, he will be reporting to Barclays’ Jonathan Brown, co-head of global investment-grade syndicate. ThinkForex bolstered its executives team in recent weeks by on-boarding Adil Siddiqui as Director of Operations and Amir Gharred as Head of Sales. The pair of new hires comes after the company already revamped its team in the beginning of the year. Looking at the new hires, Adil Siddiqui joins the firm after a stint at TradeNext, where he was one of the senior staff at the firm and held positions in operations and compliance. BNP Paribas has set up a new innovation and digital lab staffed by twenty full-time employees, which will be headed by Philippe Ruault. The new lab will be comprised of several industry veterans, thought leaders, and fintech specialists, which will focus on fostering the use of big data and distributed ledger technologies across the financial services industry. Broadridge Financial Solutions announced last Wednesday the appointment of W. Edings Thibault as Vice President and Head of Investor Relations. Mr. Thibault joined Broadridge from MSCI, Inc., a provider of financial data and technology services, where he was also Head of Investor Relations and, most recently, Global Head of Business Intelligence. Japanese investment bank Mizuho has announced a key hire to its North American banking business, adding Christopher Nam as its newest Managing Director and Head of Internet and Digital Media Investment Banking. Mr. Nam joined Mizuho’s San Francisco-based technology investment banking group. In this capacity he will help develop the group’s equity, mergers and acquisitions, and other strategic capital raising advisory capabilities. 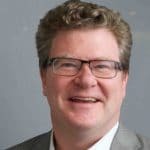 AlphaDesk, a cloud-based software solutions provider to hedge funds and asset managers, has taken its development and financial growth to the next level with the hire of Kevin Galliers as its newest COO. He joins from SunGard. David Cameron, the Prime Minister of the United Kingdom, has announced his resignation following the results of the Brexit referendum, which will formally take place this fall. The decision ended months of speculation, back and forth discussions, and a litany of financial predictions. For now, Britons have the added chaos to grapple with of their country soldiering forth leaderless in the interim.